Kathleen Sebelius speaks to the media as people sign up for Obamacare at Mount Sinai Missionary Baptist Church in Miami on March 29. The deadline for Obamacare enrollment arrived Monday, heralding a new set of problems for Democrats supporting the troubled healthcare law, including premium increases for 2015 and the possibility of ultimate repeal if the GOP takes control of the Senate in November. In the final weekend of enrollment, chaos ensued in the rush by late-comers to get coverage in time. HealthCare.gov was marred with major technological problems potentially affecting as many as the 2 million people who visited, while others consumers were thwarted due severe shortages of support staff, and long waits through the call centers and at enrollment offices, The Wall Street Journal reported. Sharp differences over abortion and birth control surfaced as President Barack Obama held his first meeting Thursday with Pope Francis, even as the president sought to emphasize common ground issues like economic inequality during a much-anticipated Vatican visit. After Obama’s hour-long audience with the pope, the Vatican said discussions centered on questions of “particular relevance for the church in that country, such as the exercise of the rights to religious freedom, life and conscientious objection” — issues that have fueled divisions between Obama and Catholics in the U.S. But the Vatican statement also said the leaders discussed immigration reform, touching on an issue where Obama has largely enjoyed the support of America’s many Hispanic Catholics. That first quote is especially amusing. Since when did the lack of legal authority stop Barack Obama and his flunkies from re-writing the Affordable Care Act? This is also the same Administration that keeps pronouncing itself delighted with the pace of ObamaCare signups, although its officials and Chief Executive melt into puddles of flop sweat when asked any follow-up questions about their dubious enrollment figures – such as how many of the applicants are healthy young people, how many previously lacked insurance, and especially how many have paid the first premium to secure valid policies. (CNSNews.com) – The Department of Justice said in a letter sent this month to Sen. Ted Cruz (R.-Texas) that Attorney General Eric Holder has determined that his department has no “conflict of interest” in investigating the Internal Revenue Service’s targeting of Tea Party and conservative groups and that Holder, therefore, will not name a special prosecutor in the case. The department’s letter responded to one Cruz sent Holder on January 22. In that letter, Cruz cited a report in The Washington Post indicating that the department lawyer overseeing the IRS investigation had made political contributions to President Obama and the Democratic National Committee. President Jimmy Carter must watch a lot of MSNBC because he did an excellent job pushing their liberal talking points. The Georgia Democrat appeared on the March 23rd “Morning Joe” to promote his latest book and subsequently repeated MSNBC’s liberal agenda. Appearing on Monday, Carter falsely claimed that “Women get about 23% less pay for men for the same job” an incorrect statistic that MSNBC has been peddling across the network as of late. White House Press Secretary Jay Carney receives and reviews questions from the press before his daily briefings, and gives the reporters his answers in advance as well, a Phoenix television reporter says. Further, said Catherine Anaya, an anchor for CBS affiliate KPHO, she was one of several broadcast journalists from affiliates around the country in Washington Wednesday to interview President Barack Obama — and that the reporters were all timed with a countdown watch and allowed just four minutes each with Obama. The Obama administration has now endangered that hallmark of Internet freedom. Obama’s next offensive in his war on freedom. 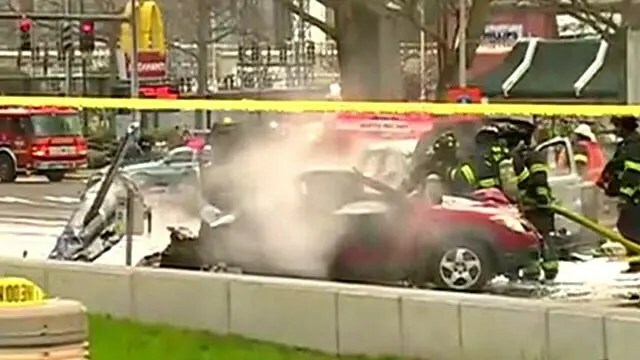 A news helicopter crashed into the street and exploded into flames Tuesday near Seattle’s Space Needle, killing two people on board, badly injuring a man in a car and sending plumes of black smoke over the city during the morning commute. The chopper was taking off from the KOMO-TV station when it went down on Broad Street and hit three vehicles, starting them on fire and sending burning fuel down the street. The busted ObamaCare websites cost a lot of people a lot of time. But for one Nevada man, problems with the state insurance exchange reportedly cost him $407,000. 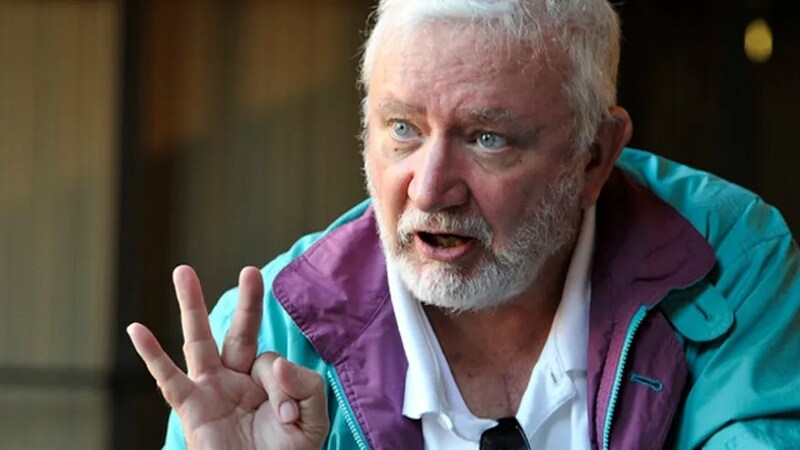 The Las Vegas Review-Journal reported that Larry Basich, a 62-year-old Vegas resident, has been stuck with the massive medical bill despite signing up for an insurance plan via the state exchange last fall.